Paris, 1917. The notorious dancer Mata Hari sits in a cold cell awaiting freedom...or death. Alone and despondent, she is as confused as the rest of the world about the charges she's been arrested on: treason leading to the deaths of thousands of French soldiers. As she waits for her fate to be decided, she relays the story of her life to a reporter who is allowed to visit her in prison. From the moment of her arrival in Thebes, Nefertiti is beloved by the people. But as she turns her attention to producing a son, she fails to see those plotting against her husband's rule. The only person wise enough to recognize the shift in political winds is Mutnodjmet. Observant and contemplative, Mutnodjmet has never shared her sister's desire for power. Her greatest hope is to share her life with the general who has won her heart. 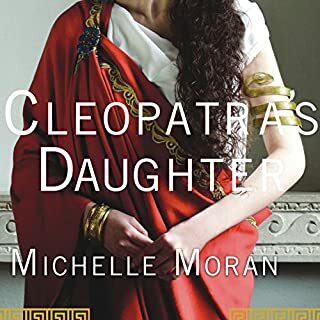 But as Nefertiti learns of the precariousness of her reign, she declares that her sister must remain at court and marry for political gain, not love. To achieve her independence, Mutnodjmet must defy her sister while also remaining loyal to her family. 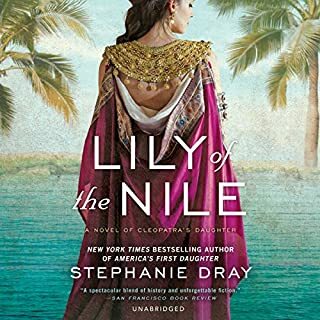 Love, betrayal, political unrest, plague, and religious conflict: Nefertiti brings ancient Egypt to life in vivid detail. 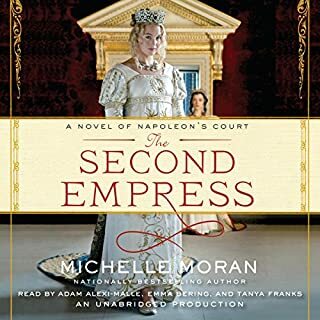 Fast-paced and historically accurate, it is the dramatic story of two unforgettable women living through a remarkable period in history. The author did an excellent job combining fact with fiction. I really enjoyed the personality development on each and every character. I listened to it twice because It was so good. I even did research online to find out more about the characters and how they ended up. Excellent work! I am drawn to books about Egypt but they must be well written and follow history to a large degree. Not since Wilbur Smith have I enjoyed a book regarding Egypt so much. She made the daily life of the Royals come alive. It was awe inspiring. I really enjoyed this book. It was engrossing from beginning to end, with no slow moments. Much of it is true to the known history of Nefertiti and her family. I look forward to the next work by this author. I feel this book revealed the history of this strange period in Egypt. The Pharoah Akenaten and Nefertiti are fascinating personalities. They seem to be a bit caricatured as a self-important youthful king and a selfish, petulant queen. The book is written from the perspective of Nefertiti's sister. 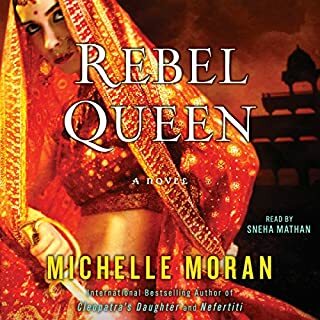 The author writes from a feminine bent and in the words of a sister who is expected to be the slave of her famous older sister. While this may or may not have been true, it gets a bit old as the book goes on. You want to scream, "get a backbone! ", which she only does in the last chapters. The book paints a good picture of the times in Egypt, but it tends to overemphasize the family relationships at the expense of the political developments. I had just finished reading The Egyptian by Mika Waltari and was yearning for another excellent book about Egypt. I was disappointed. The writing was a bit juvenile and I couldn't wait for the book to end. I didn't even feel anything when some of the characters passed away because the writing lacked emotion and depth. Perhaps if I had not read The Egyptian first, my expectations would not have been so high. I just didn't need to hear so much about herbs and clothing. I think this book might be fit for a teenager. This book was so enjoyable! The writing was discriptive, the narrator easy to listen to and the historical aspects interesting! This book lacked the excitement I was expecting. The intrigues weren’t very intriguing, the characters were bland and the story unemotional. Ancient Egypt did not come alive in my mind as I read it. I was disappointed. Boring! Not even close to the synopsis. This should have been titled "Mutnodjmet: The Story of Nefertiti's Co-Dependent Low Self-Esteemed Emotionally Abused Younger Sister"! 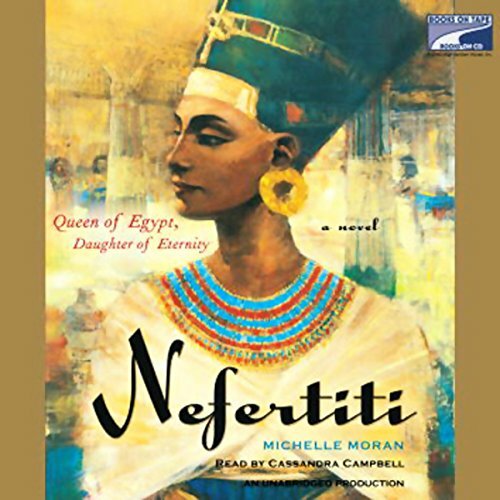 This book gives very little insight into Nefertiti - instead it follows the life of the Queen's sister. "Love, betrayal, political unrest, plague, and religious conflict"? Not so much. Since very little is known about Nefertiti, the author could have made this a very interesting account with literary license and a bit of imagination. The narrator's monotonous droning only makes this book worse. It's hard to tell who is speaking, especially in all-female conversations since she never changes her tone. I had to keep rewinding the first chapter over and over again before I figured out that Nefertiti's sister is the one who is telling the story. In addition, this book doesn't lend itself well to being an audiobook. Nefertiti's husband, Pharoah Amenhotep IV's worships the God ATEN, in the city AkhetATEN, with 6 daughters by Nefertiti (MeritATEN, MeketATEN, AnkhesenpaATEN, NeferneferuATEN, Neferneferure, and Setepenre) and 2 sons by other women (Smenkhkare and Tutankhamun, a/k/a "King Tut"). Cassandra Campbell's boring mumbling makes it hard to differentiate between all of these names. Ultimately, we never really learn anything about Nefertiti's own feelings towards her family, her husband, or her people - only second-hand musings by Mutnodjmet (after 16 hours, you still won't be able to pronounce her name!) 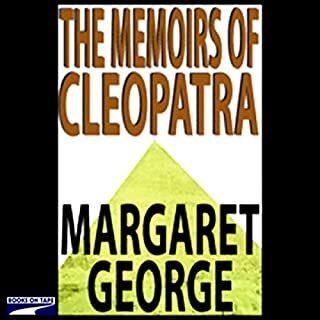 As for the history of Egypt, Margaret George's "Cleopatra" is better researched, colorfully bringing the empire alive. Excellent writing, excellent reading. 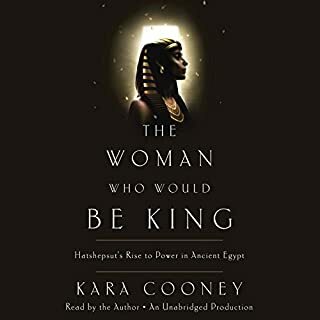 I have just returned from a trip to Egypt, which I loved, so I was thrilled to find this audiobook. I thoroughly enjoyed it from beginning to end and thought the reader did a great job portraying all of the characters. I highly recommend it. This is my first audio choice about egyptian and now I am craving the next one. If you are a fan of ancient egypt, you will LOVE this!Enjoy!